Recent Arrival! Loveland Ford Lincoln is offering this 2014 Dodge Grand Caravan, in Sandstone and black Cloth, CLEAN CAR FAX!, LOW MILES!, LOCAL TRADE, GOTTA DRIVE THIS ONE TODAY!, Quick Order Package 29R SXT. 3.6L V6 24V VVT 6-Speed Automatic FWD Odometer is 56453 miles below market average! Located in Loveland CO, but also serving the greater Denver area, including Highlands Ranch, Broomfield, Longmont, Boulder, Parker, and Thornton. Bright Silver Clearcoat Metallic 2004 Jeep Wrangler Rubicon 4WD 5-Speed Automatic PowerTech 4.0L I6 ACCIDENT FREE CARFAX, PowerTech 4.0L I6. Recent Arrival! 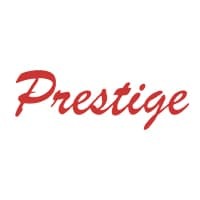 PRESTIGE CERTIFIED! : 3000 MILE 3 MONTH WARRANTY NO COST!, LOCAL TRADE!, 18 Service Records Available, Grand Cherokee Altitude, 3.6L V6 Flex Fuel 24V VVT, 8-Speed Automatic, 4WD, Brilliant Black Crystal Pearlcoat, 115V Auxiliary Power Outlet, 7 & 4 Pin Wiring Harness, Altitude Package, Automatic temperature control, Black Suede Seats w/Black Stitching, Cargo Compartment Cover, Class IV Receiver Hitch, Heated Front Seats, Heavy-Duty Engine Cooling, Power 4-Way Driver Lumbar Adjust, Power 8-Way Driver/Manual Passenger Seat, Power Liftgate, Quick Order Package 23Z Altitude, Radio: Uconnect 8.4A AM/FM/SXM/BT, Rear Load Leveling Suspension, Security & Convenience Group, Security Alarm, Single Pane Power Sunroof, SIRIUSXM Satellite Radio, Telescoping steering wheel, Trailer Tow Group IV, Universal Garage Door Opener, Wheels: 20" x 8.0" Gloss Black Aluminum. Brilliant Black Crystal Pearlcoat 3.6L V6 Flex Fuel 24V VVT 4WD 8-Speed Automatic Prestige is Northern Colorado's Premier 5-Star Dealer! Loveland Ford Lincoln is offering this 2005 Dodge Ram 3500, in Patriot Blue Pearlcoat and Dark Slate Gray Cloth, CLEAN CAR FAX!, LOW MILES!, LOCAL TRADE, GOTTA DRIVE THIS ONE TODAY!, 7 Pin Wiring Harness, ABS brakes, Class IV Receiver Hitch, Compass, Heated door mirrors, Illuminated entry, Remote keyless entry, Trailer Tow Group. Cummins 600 5.9L I6 DI 24V High-Output Turbodiesel 4-Speed Automatic 4WD Odometer is 3405 miles below market average! Located in Loveland CO, but also serving the greater Denver area, including Highlands Ranch, Broomfield, Longmont, Boulder, Parker, and Thornton. CARFAX One-Owner. Clean CARFAX. LOCAL TRADE!, CLEAN CARFAX ONE OWNER!, Cherokee Limited, 3.2L V6, 9-Speed 948TE Automatic, 4WD, Granite Crystal Metallic Clearcoat, Automatic temperature control, Fully automatic headlights, Heated front seats, Heated steering wheel, Integrated Voice Command w/Bluetooth, Leather Trimmed Bucket Seats, Outside temperature display, Power driver seat, Quick Order Package 26G, Radio: Uconnect 8.4, Roof rack: rails only, Telescoping steering wheel, Turn signal indicator mirrors, Wheels: 18" x 7" Polished Aluminum. Granite Crystal Metallic Clearcoat 3.2L V6 4WD 9-Speed 948TE Automatic Prestige is Northern Colorado's Premier 5-Star Dealer! Granite 2017 Dodge Journey Crossroad AWD 6-Speed Automatic 3.6L V6 24V VVT BLUETOOTH, ONE OWNER, ACCIDENT FREE CARFAX, AWD.